Opened in April of 1998, King Eider Inn is the premier of Barrow hotels located north of the Arctic Circle in Utqiaġvik; the most northern town in Alaska and all of North America. A household name for fine lodging in the heart of Utqiaġvik (formerly known as Barrow), we strive to provide the cleanest, coziest, friendliest, and most comfortable experience for all of our guests. It's no coincidence we continue to be the highest rated of all hotels in Utqiaġvik. Furnished in beautiful Pine Log furniture, some highlights of our Inn include a private Sauna room, complimentary wireless Internet, a cozy lobby fireplace, wheelchair accessible rooms, and Eskimo crafts & gifts handmade by the North Slope's native community. Our fresh coffee and tea will help keep you warm and cozy even in Barrow's coldest winter days. On your next trip to Barrow, we hope you decide to stay with us and look forward to having you as our guest. Of all hotels in Barrow, consider us your home away from home as you take in the natural beauty our town has to offer. To make your reservation for King Eider Inn, click below. Sign up with your email address to receive exclusive promotions and discounts. We respect your privacy and will not sell or give away your personal information to a third party. Click an image above to expand. Pots, pans, dishes, utensils etc. Ideal to guests looking for the ultimate getaway experience in Utqiaġvik. *Weekly rates available. Please call or message our hotel for rates. *Special rates available for government employees. Please call or message our hotel for current rates. Ready to make some reservations? 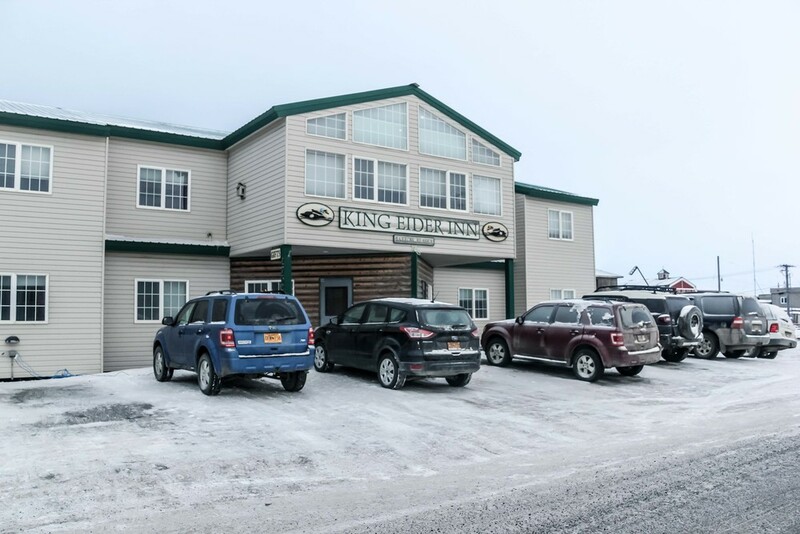 If you're looking for a home-like experience as you take in all that Utqiaġvik has to offer in a warm, friendly, and cozy Inn that makes sure you have an outstanding experience, look no further. We look forward to seeing you.